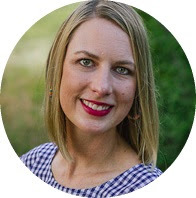 We had so much fun pulling together this baby shower for Allison Hamilton. Here is the guest of honor. We based the theme on Eric Carle's book The Very Hungry Caterpillar. The hostesses each prepared dishes based on foods the caterpillar eats throughout the book. We had fruit salad, cherry squares, pigs-in-a-blanket, a "leafy" salad, and salami, swiss, and pickle mini sandwiches. This picture is terrible, but it gives you an idea of the cupcake cake. I found the inspiration here. I can't believe this is the only picture I have of the whole cake. For the favors, I saved some of the many baby food jars Avery's been going through, painted the lids, and filled them with candy. I found the perfect stickers on etsy.com. 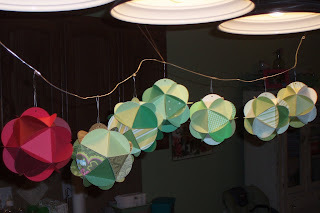 Finally, I made paper globes from Heather Bailey's tutorial to resemble a caterpillar. We suspended this contraption above the beverage island. Since, the Mommy-to-be is an avid reader, we asked the guests to kindly bring baby Joshua a favorite book. I think he will be starting off with an excellent library. 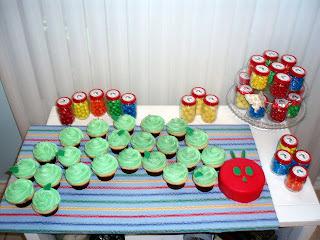 What a great shower theme - I love the Very Hungry Caterpillar and my son just adored the book as well. Looks like it was a very fun shower - I also like the idea of giving a book. Cheers!